Since the time I had my own family and now a baby, my budget was split into three: for household use, for baby and lastly for myself. I love to go shopping and I love to splurge but I always hold back thinking twice on a particular item's worth and its lasting value. I usually wait for a sale and hunt for a good find. But rarely do I see a sale that is branded here in Binondo or I was just not aware of it. Yesterday when I heard from my sister-in-law that there's a Warehouse Sale nearby, I hurriedly asked for the details. 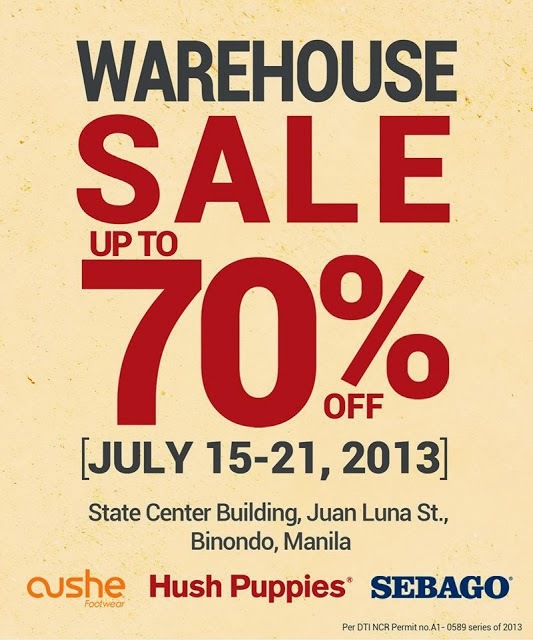 It's the Warehouse Sale of Cushe Footwear, Hush Puppies and Sebago. I didn't know the two other brands. I only know that Hush Puppies footwear are soft, durable and pricey. But since it's just a 10-minute walk from our place, I decided to drop by and check out the prices. Here are the poster details which I grabbed from their Facebook fan page. It started last July 15 Monday until today July 21 Sunday. It's a week-long sale and I was only able to drop by Saturday. I would assume the good finds have been sold out already. And by the way, there's a P50 entrance fee but since I got a coupon from my SIL, I was able to go in for free. If not, I won't bother to drop by if I don't have much interest on the items or brands on sale. Here's a map going to the sale location. 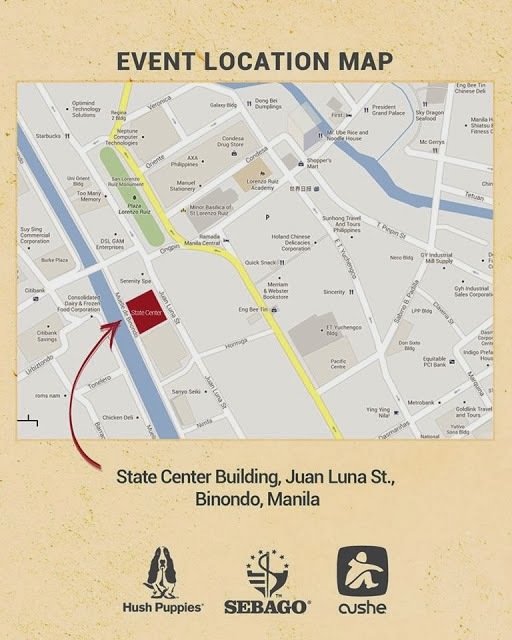 The address is at State Center Building, Juan Luna Street, Binondo, Manila. It's just a walking distance from the Binondo Church and near World Trade Exchange if you are familiar with it. I spent 1.5 hours inside from 4:30 to 6:00pm looking and searching for a good buy. At a first glance, I almost gave up because all I can see were dirty and broken sizes footwear. The place was hot and almost no ventilation that's why I went out feeling so sticky. I browsed more intently and started picking out some footwear styles that would suit me but as expected in a sale, either you get a broken size or get the display pair. You need luck and persistence to grab a good find. The sale is mostly footwear but they also have shirts, socks and pillows. After taking a few rounds, finally I was able to get a footwear of my size and style. So far the discounted price is acceptable or buyable knowing that it's a good brand. Let me give you a closer look at the total bill and savings. Original Price is P1,390.00 and I only got it at P300 a pair. Original Price is P2,999.75 and I got it for P600. Original Price is P1,899.75 and I got it for P700. Savings of almost 70%. Although this may still look pricey for some but I'm thinking of its durability and long term usage. Nowadays, a regular footwear would normally range at this price already, so for me these were a good buy. Yehey, I feel so proud of my hunting skills. Look at what's inside my paper bag. It's Baby A! She can fit inside. My Saturday solo shopping didn't end here. After this, I still went to a nearby supermarket to buy some groceries for the family. 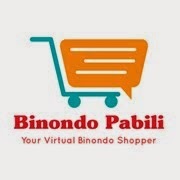 To those not familiar with Binondo, I'm excited to show you yet another good place with a good find. Up next!